Photo taken from Liberty State Park in 2012. I had an unexpected deadline thrown at me at work yesterday so won't have time for much reflection - but as usual, my story from the day is available here. 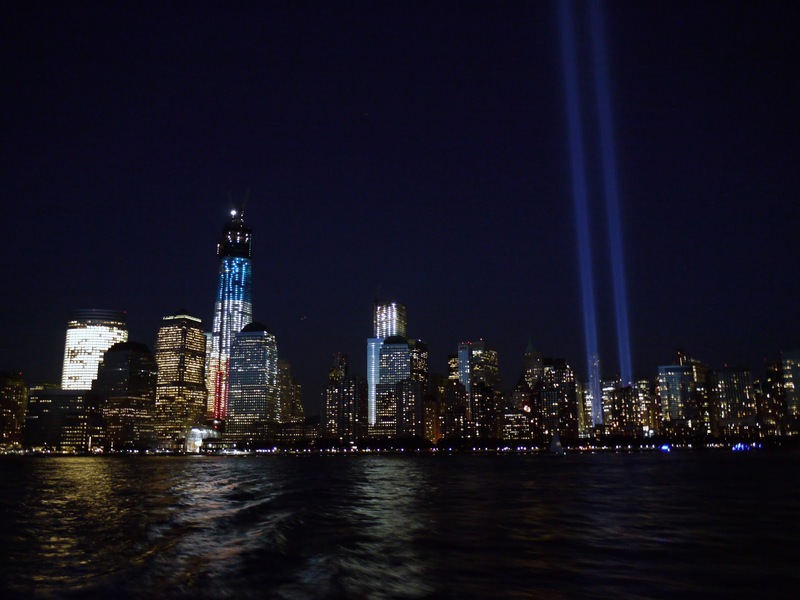 There was an interesting article about the Tribute in Light in the New York Times today. I loved it at first, thought it was a beautiful way to memorialize the World Trade Center and the lives lost there that day, but then I found out that it was trapping migratory birds and my feeling towards the display cooled. I'm glad to hear that they've found a way to keep it from being quite as dangerous to the small travellers. Click here to read.